As an artistic person, I enjoy being creative but having now left uni and school I find I don't really have the time to dedicate to drawing as I used to. 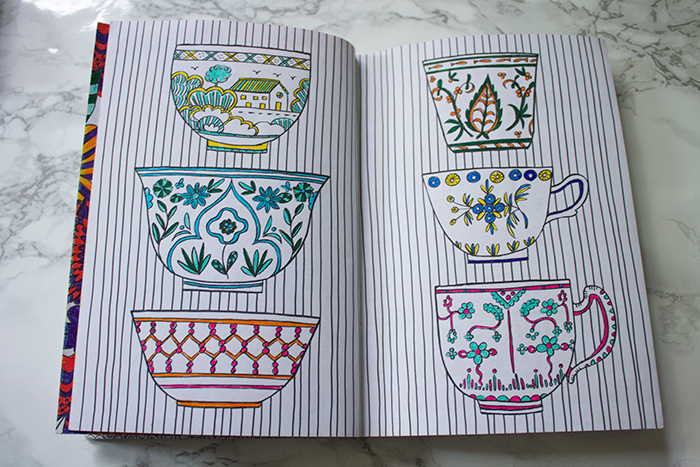 I've been a big fan of colouring books for quite a while, before they began to become as popular as they do now and it's so nice to just sit down for an hour every day or two and entertain my creative side. For those looking to get into the craze, I thought I'd share some of my favourite books, pens and a snippet of a few of my completed pages. The first adult colouring book I picked up was The Mindfulness Colouring Book by Emma Farrarons which I think is a great place to start. It's the size of a paperback book which makes it great for travelling around with and features a great range of illustrations from tea cups to leaves. 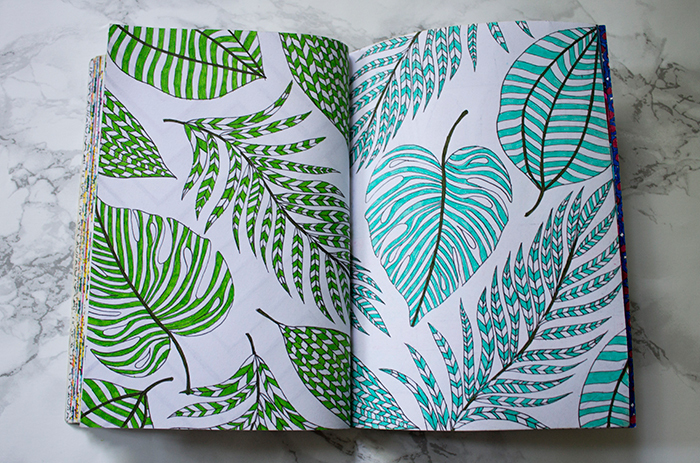 I've actually only got around 20 pages left to finish in this book so it has been much loved and I love flicking through the pages to see all the colour combinations I've completed. The paper quality is great, thick enough for fine liners but felt tips may bleed through so it's best to have a little test before you begin. It's currently only £3.85 on Amazon so it's an amazing bargain and you get a hell of a lot for your money. 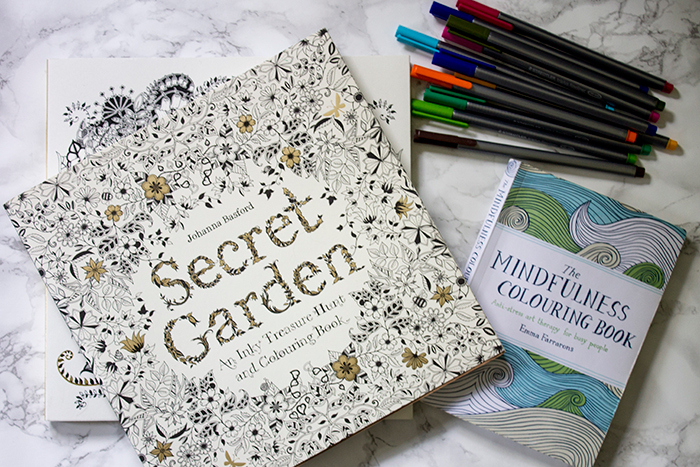 Now that my previous colouring book was nearing it's end I thought it was about time I picked up a new one to replace it with in the form of Secret Garden: An Inky Treasure Hunt and Colouring Book by Johanna Basford, who is actually a Scottish illustrator. If you're looking for something a little more special, this book is absolutely beautiful. This book is themed all around flowers, leaves and creatures you'd find in the garden. Not only that, it challenges you to find hidden animals and also allows you to complete sections yourself by drawing freehand. The paper quality is excellent, suitable for both fine liners and felt tips which don't bleed through on the other side. It's said that a lot of people complained about the paper quality to begin with but they have improved it and I've had absolutely no problems with my copy. 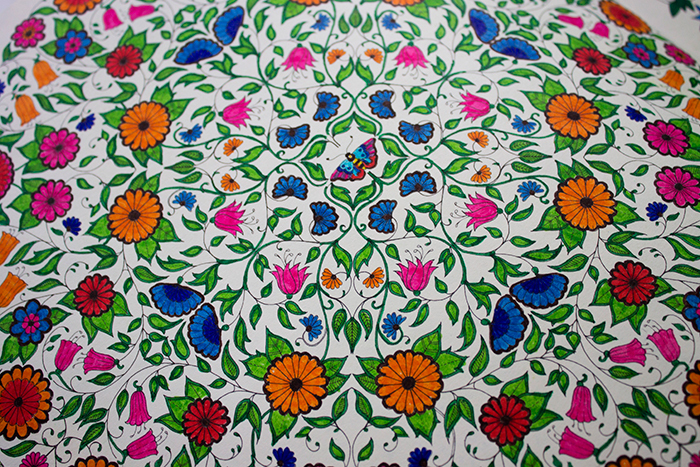 As you can see above, the designs are very intricate so I would advise some fine liners for this one. A little more expensive at £7.39 but for the quality and range of designs, I would have paid a lot more. I've also picked up her other book Enchanted Forest. As I've been going on about pens I thought I'd share which kind I use. 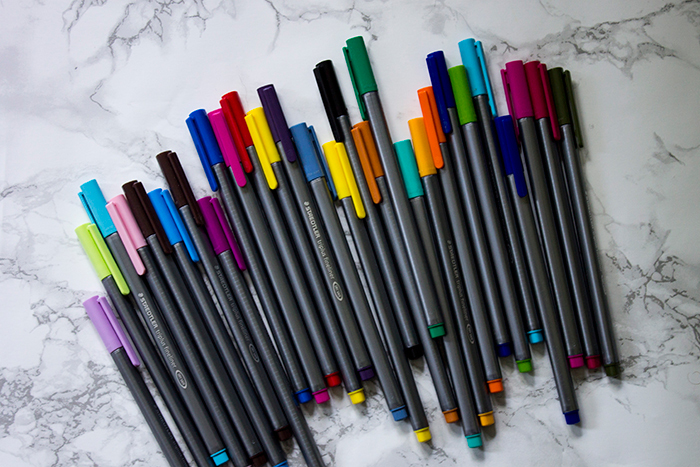 The best pens for colouring in my opinion are the Staedtler Triplus Fineliner 334 SB20 Tips Desktop Box - Assorted Colours (Pack of 20), other pens just don't quite compare. They have a super fine tip, much like your traditional graphics pens and come in a variety of shades. I've actually purchased multiple packs of these from the 10, 20 to 20+6 and I can't get enough of them. Not only do they write beautifully, they also don't smudge and dry almost instantly so you won't ruin any of your progress in your colouring books. A pack of 20 is currently £12.69 on Amazon, much much cheaper than the stationery shops! You won't be disappointed with these. Those are my current colouring books! 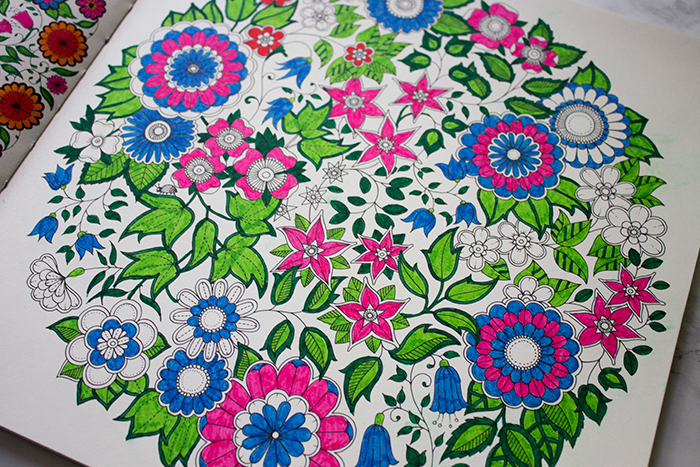 For those who haven't gotten involved in the colouring in craze, give it a go. I find it very relaxing and a perfect bedtime ritual to help me shut off from all my electronics.